Arthritis is a difficult chronic condition to overcome. It can be an autoimmune problem (as in the case of rheumatoid arthritis), related to overuse (as in the case of osteoarthritis), or it may be associated with a traumatic injury or a complication of foot surgery. 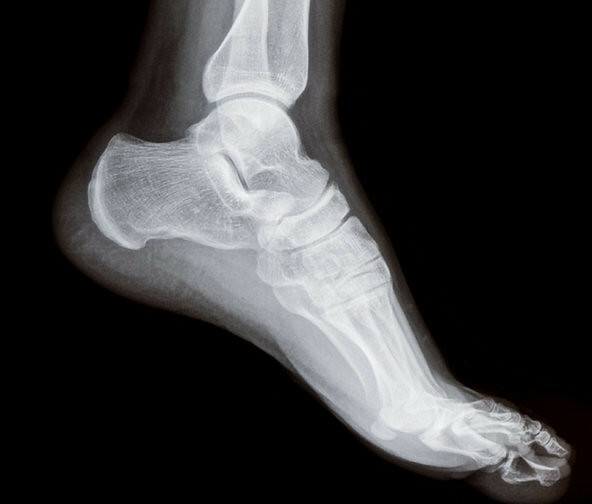 Approximately 55,000 people a year suffer midfoot injuries like fractures or dislocations that fail to heal properly and cause the development of arthritis.1https://steinhardt.nyu.edu/scmsAdmin/uploads/004/320/TFAS%20Rao%20Midfoot%20arthritis.pdf The Arthritis Foundation estimates that nearly half of all people over 60 will suffer some form of arthritis in the feet.2http://www.everydayhealth.com/osteoarthritis-pictures/ways-to-ease-arthritis-foot-pain.aspx In this article, we’ll cover some of the things you can do at home to ease the everyday aches and pains of foot arthritis. A relaxing chamomile oil massage can reduce your need for acetaminophen, according to a report published in the journal Complementary Therapies in Clinical Practice.3http://www.ctcpjournal.com/article/S1744-3881(15)00049-3/abstract While chamomile won’t restore lost collagen, it can reduce pain and inflammation with natural chemical compounds called terpenoids and flavonoids. Informal studies have demonstrated that massage yields “significant improvements in knee pain, stiffness, function, range of motion and walking.”4http://www.arthritis.org/living-with-arthritis/treatments/natural/other-therapies/massage/massage-benefits.php The repetitive motions lower the production of the stress hormone cortisol, boost production of serotonin, and inhibit neurotransmitters linked to pain. In the absence of a masseuse, you can try using a foam roller — particularly after a workout — for similar effect. Ginger: The gingerol in fresh, ground, chopped, or bottled ginger inhibits the same pain-causing enzymes in the body as ibuprofen and other NSAIDs. It’s easy to steep a few shavings of fresh ginger in boiling water to make a soothing tea. Tart Cherries: Long recommended as a gout treatment, tart cherries inhibit COX enzymes that trigger inflammatory prostaglandins and provide the body with a healthy dose of antioxidants, which flushes out pain-causing toxins. Eat 10-20 tart cherries or drink 32 ounces of tart cherry juice a day to feel the beneficial effects. Yoga: A review of clinical research from 1980 to 2010 found that yoga consistently reduced tenderness, swollen joints, pain and disability in people with rheumatoid arthritis.8http://www.ncbi.nlm.nih.gov/pmc/articles/PMC3026480/ Significant improvements in mental health and energy were also reported in most of the studies. Strength Training Exercises: Sometimes arthritis develops as a response to weakened calf or thigh muscles. Performing two sets (and 10 reps) of exercises like prisoner squats, overhead dumbbell squats, dumbbell lunges and low side-to-side lunges can strengthen the legs and take some of the pressure off your knees, ankles, and feet. Swimming: Swimming in warm water is a great low-impact way to stay in shape, without stressing the joints. A 1996 study of 139 arthritis patients enrolled in hydrotherapy found “significantly greater improvement in joint tenderness and in knee range of movement” and maintained improvement in emotional and psychological state. Due to a lack of clinical research, some experts say kinesiology tape–the stretchy fabric bandage athletes often stick to sore spots–has little more than a placebo effect on arthritis sufferers.9http://articles.latimes.com/2011/apr/04/health/la-he-skeptic-pain-20110404 Even so, the makers of KT Tape recommend their product for arthritis sufferers to “ease pain and promote circulation.”10http://www.kttape.com/kt-tape-for-arthritis/ Taping is not recommended as a long-term cure for chronic arthritis pain, but it could help you get through a tough workout. When you need serious relief from pain and disability, New York City’s Center For Podiatric Care and Sports Medicine has solutions for you. We offer state-of-the-art diagnostics, as well as the latest advanced pain therapies, including the MLS laser, extracorporeal shockwave therapy, biopuncture injection therapy, and more. Contact us to discuss treatment options.